Luxilon Smart 16L Reel 200m String - Tennis Town | 網球購物城 - Tennis Racquets, Equipment, Strings, Shoes & Bag. The first string engineered to process swing speed and adapt its properties in real time, LXN Smart does all the thinking for you. Fiber characteristics within the polymer material change based on swing speed, stiffening up during fast swings for more control and flexing during slower swings for enhanced touch. 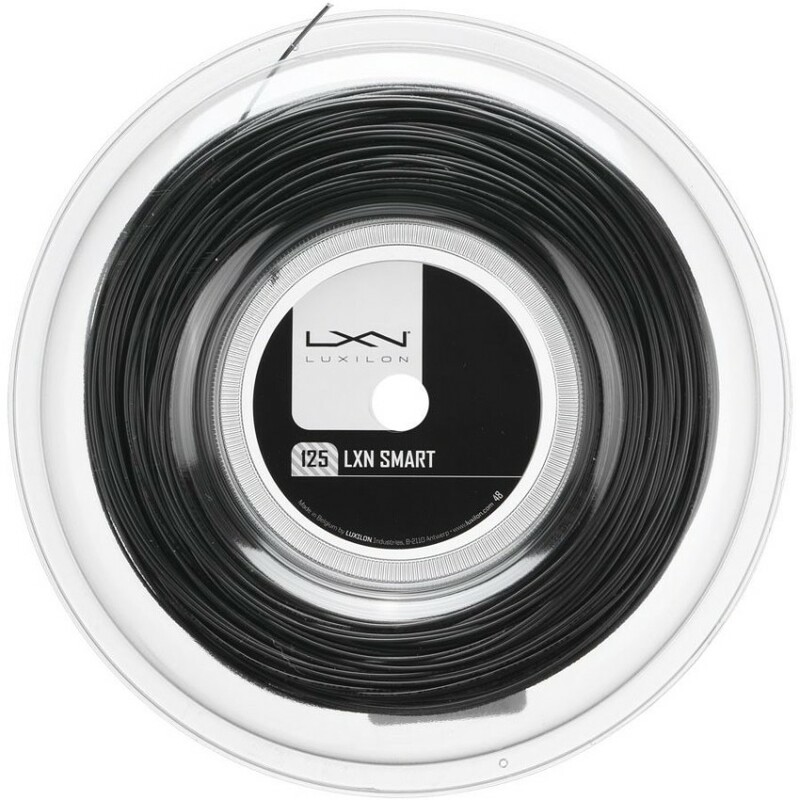 Uniquely developed for lower string tensions, LXN Smart delivers polyester-like performance with the soft feeling of a multifilament. No matter the stroke or situation, this string gives you the ability to vary your shot selection with incredible confidence.